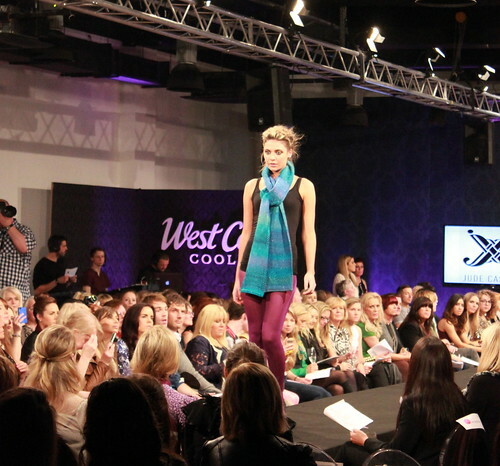 Over the course of the last week some of the finest Autumn/ Winter fashions graced many a catwalk for the 14th season of the renowned West Coast Cooler FASHIONWEEK. 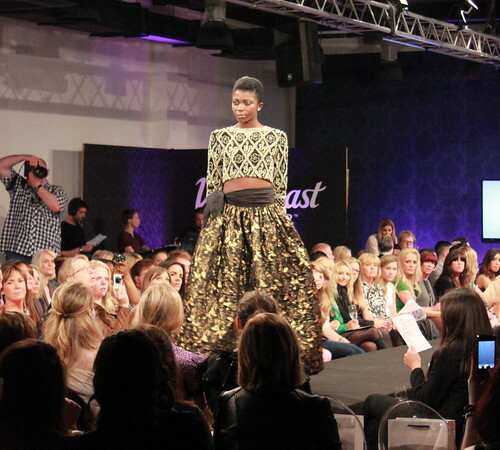 The week consisted of some fabulous shows which I had detailed for you here and this weekend I was lucky enough to attend two of them, the first being the Northern Irish Designer Show on Saturday night. 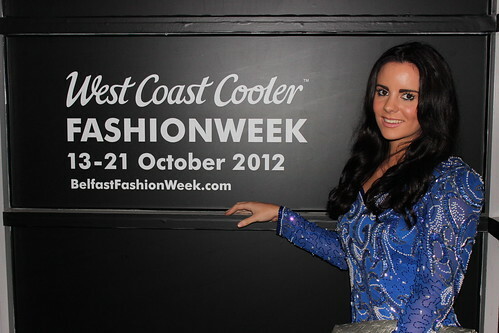 The event took place in the Europa Hotel, Belfast where the function room had been transformed into a fashion extravaganza and some of the most talented Designers from Northern Ireland displayed their A/W collections. 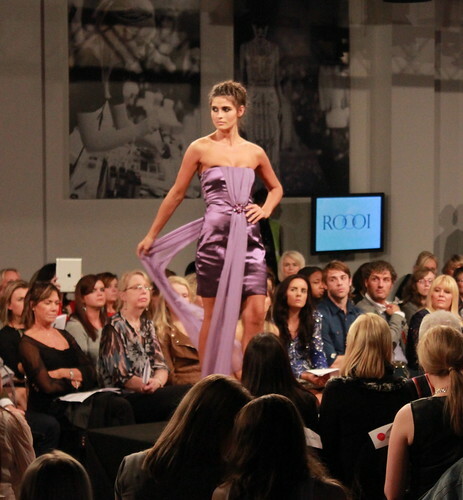 The show began with a spectacular display from Una Rodden, a designer from my home town who is based in Belfast. She has a long list of celebrity clientele under her belt and her new collection is nothing short of red carpet worthy. 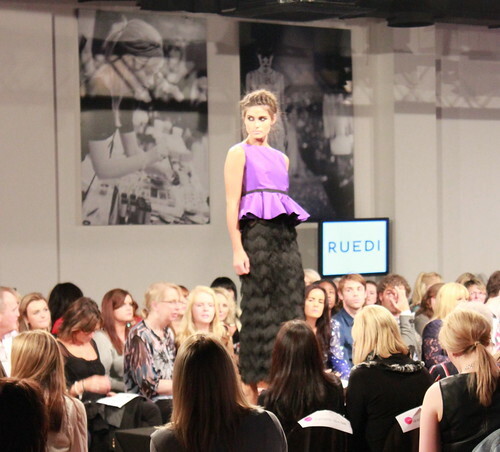 Up next we saw another local designer from Derry/Londonderry, John Paul Couture. 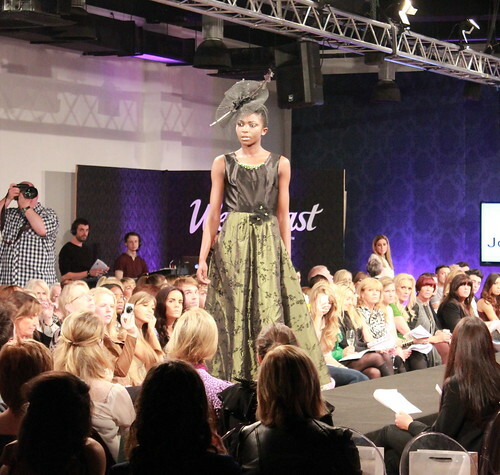 He showed beautiful vintage style dresses with absolutely gorgeous hats to match. 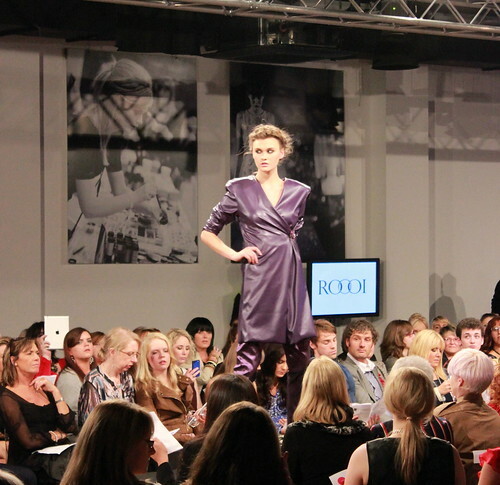 Jude Cassidy showed us something a little different with a wonderful collection of jackets and scarves and she was followed by KATIE, whose pieces were real showstoppers, with strong tweed materials and flowing frilled skirts, they really caught the attention of the audience. UNIFY is a brand new collective opened in Belfast. The brain child of Designer Dave Henderson, he has opened a studio for artists and designers to come together and create. On the runway we saw some beautiful designs from three of the talented UNIFY crew including Dave himself, Shaun Henry of “Van Der Simon” and Shauna Fay. 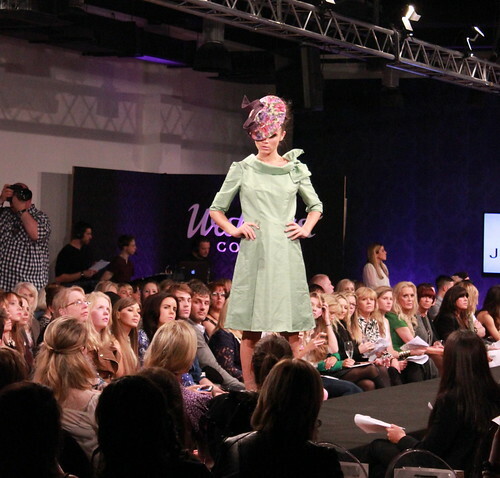 Grainne Maher put on an incredible catwalk display with gorgeous statement jewellery from her range “Pluck and Devour” accompanied by hats from Grainne Maher Millinery and she was followed by the fantastic Ruedi Maguire. 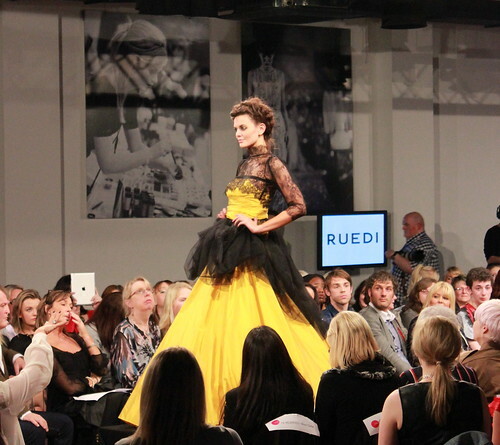 Ruedi’s head turning collection never fails to amaze with everything from season staples to stunning “one off” evening designs. Roooi followed suit, bringing the runway to life with some more stunning creations and then we saw the fabulous Nor-Lisa Fashion whose incredibly unique masterpieces are fast forwarding this young designer into the Fashion Elite. We saw beautiful knitwear from Mary Callan, which she modernised by matching it with metallics and leathers and finally gracing the runway was Stephen Mageean with his unreal debut collection of bespoke designs. Watch this space as this guy is going to take the fashion world by storm. As well as seeing the fabulous fashion show, some of the highlights for me were meeting talented jewellery designer Sandra Stewart, founder of “Bohemian Chic” and getting to try on her beautiful handmade necklaces as you can see below. It was also an honour to present the fabulous Donna McCabe with the gift from my Giveaway. I really hope she enjoys each of the wonderful prizes. I chose to wear a Vintage beaded dress from Boudoir Boutique. I absolutely love their vintage pieces as they really stand out from the crowd. This one in particular was a favourite choice, with its tribute to 80’s chic incorporating big shoulder pads and lots of bling. 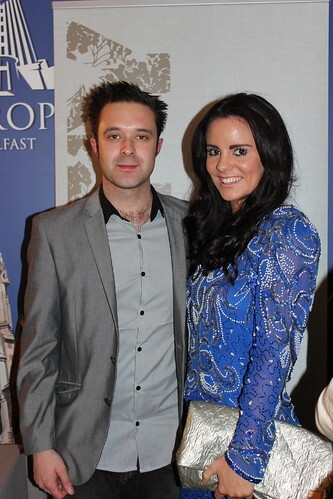 Paired with some silver accessories I was all set to attend one of the top fashion events to hit Northern Ireland every season. Hope you enjoy the many photographs from the event and that you like my outfit choice! Beautiful dress and I love the creations of the designers!!! I love your dress and you look really good in it! I love your dress and the clutch! So beautifully paired. Great event! Nice look, the color of your dress is amazing! 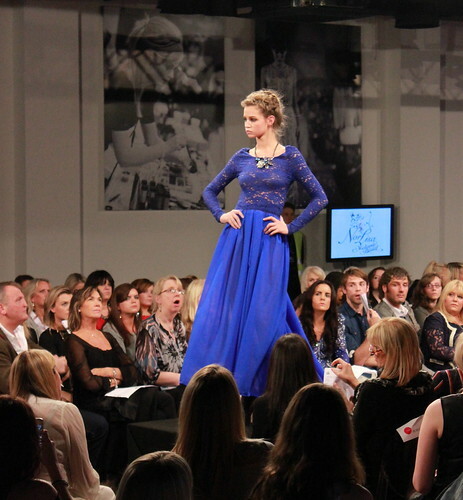 Nicola, your blue dress is gorgeous!Amazing show! Love your outfit! I love all the dresses on this post!